Due to lax regulations and an abundance of insects, Costa Rica uses more insecticides per capita than most developed and under developed countries around the world. With a tropical climate you can get fresh produce all year but there is no telling what you are actually putting into your body when it comes to the chemical make-up. 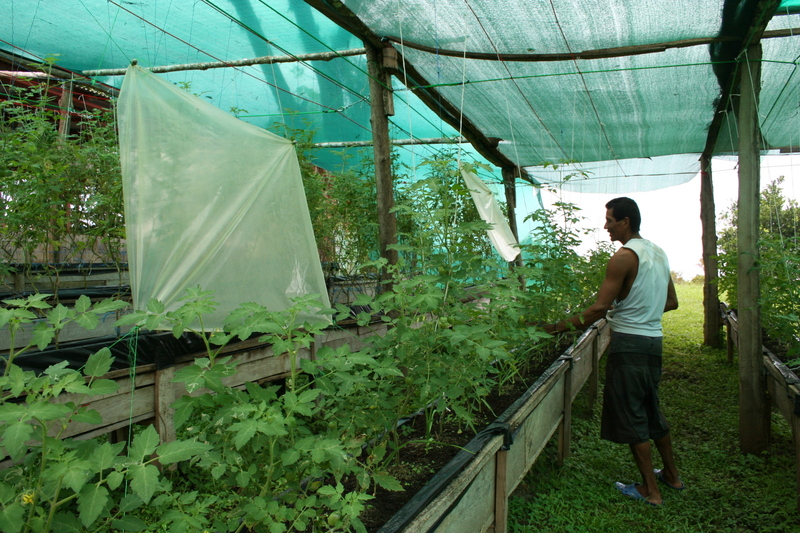 There are only a handful of organic farmers in Costa Rica that are looking at local food production for adjacent communities instead of exporting it out. Hacienda Okhra gives locals and visitors the opportunity to eat fresh natural, local grown food from soil to table all in the same day. 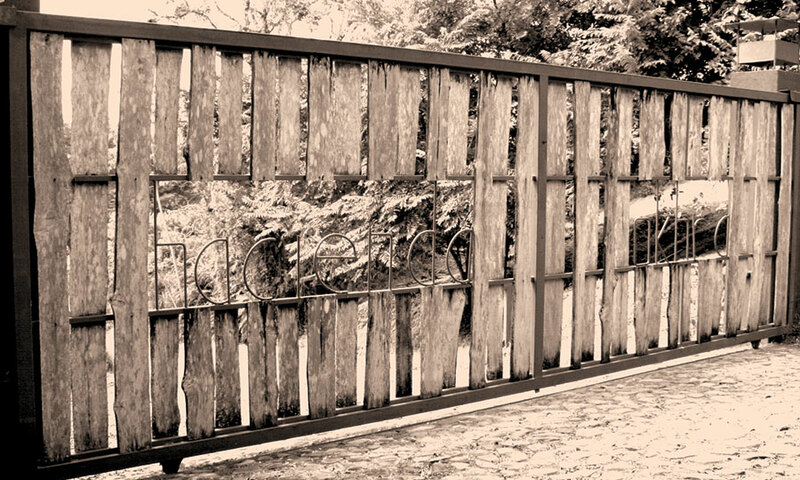 Designed as a concept community strategically located in a blue zone, Hacienda Okrha is nestled into the breathtaking hills of Las Delicias, just above to town of Mal Pais and Santa Teresa on the Southern Nicoya Peninsula. 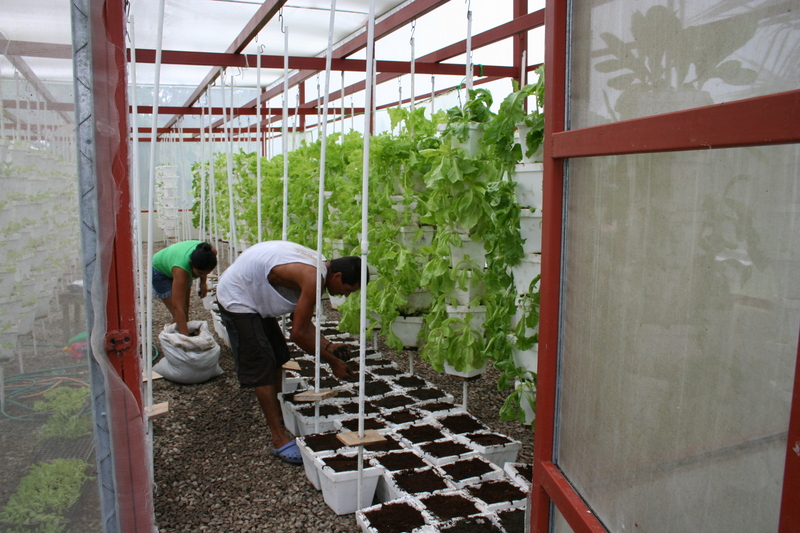 Hacienda Okhra Project is estimating a commercial production of over 700 heads of lettuce plus another 15 kilos of other veggies i.e., tomatoes, peppers, basil, pickles etc. per week. They hope to increase production plus introduce an aquaponics system to produce fish along with natural minerals early next year. 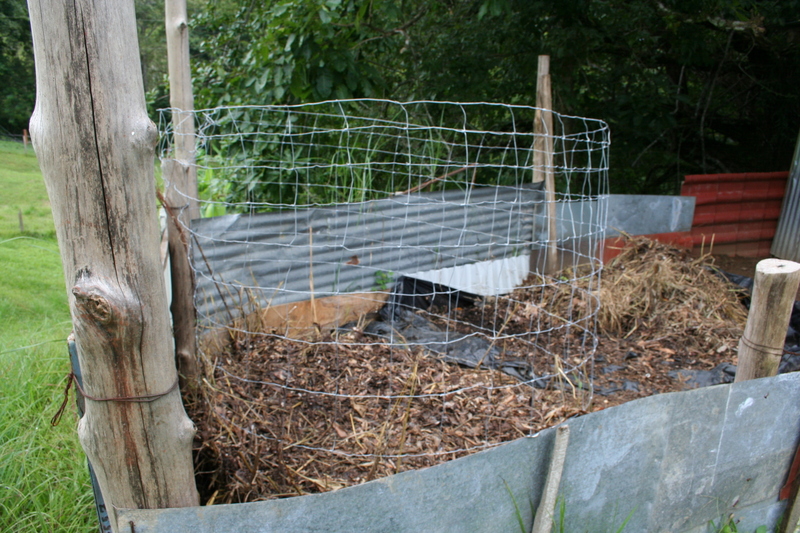 They recently installed some new cages for composting at their compost area plus a vermiposting station to start producing their own worm castings. Many of the seeds are germinated in the germinating room while some are planted directly into the pots. 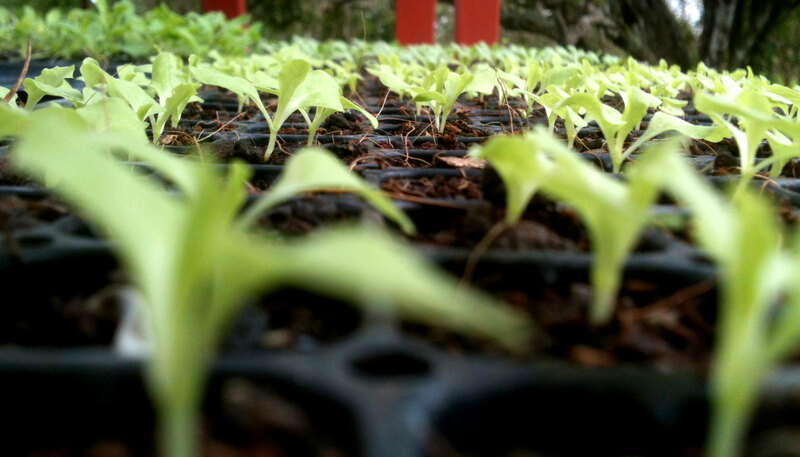 Hacienda Okhra project also produces a number of mixed mini green trays for local chefs in the surrounding areas. These Organic mini green trays are sold as a whole tray with over 200 miniature greens. Each week they transfer 700 seedlings from the growing trays to the growing station and plant over 1000 seeds of mixed vegetables. They are currently producing over 5 different types of salad greens including Boston and Arugula. The tomato growing area has over 200 mini Roma tomato plants in different stages of flowering and vegetation. 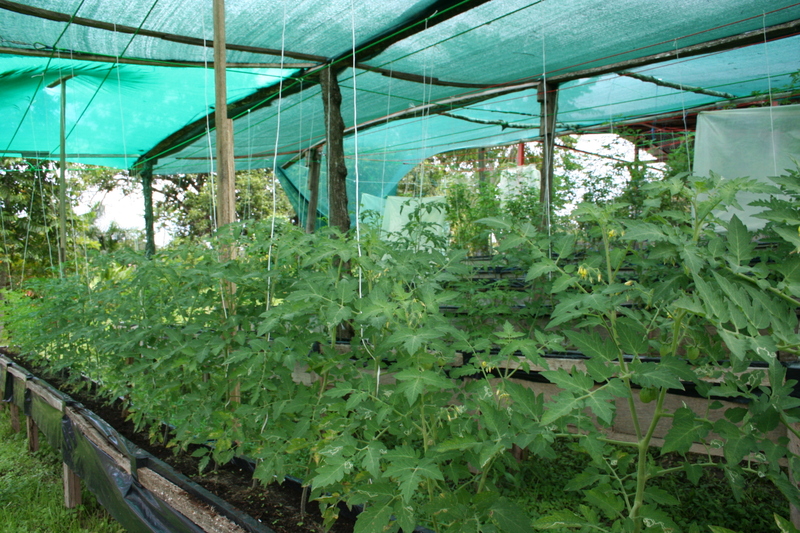 The tomatoes are in a 50/50 coco and compost growing medium, in 14″ deep growing beds. Water is pumped up right now from two wells through a series of lines to an elevated holding tank. Directly below the holding tank is smaller tank where natural minerals can be added to the plants. 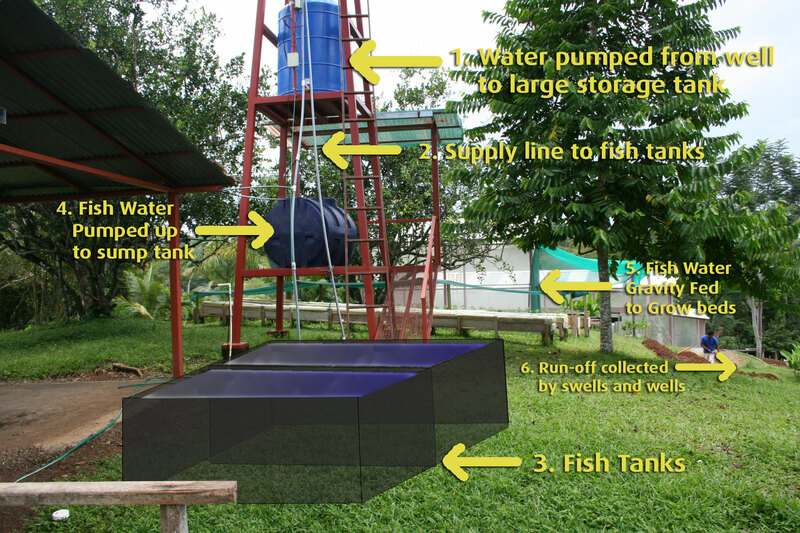 In the next few months we build our fish tanks where you see them placed in the above image. The water will eventually flow up from the fish tanks to the sump reservoir below the storage tank. From there the nutrient rich water filled with fish waist will flow into the grow rooms via a gravity feed. The excess water from the grow areas drain directly into outdoor gardens leading down hill with growing swells eventually feeding back into the wells. 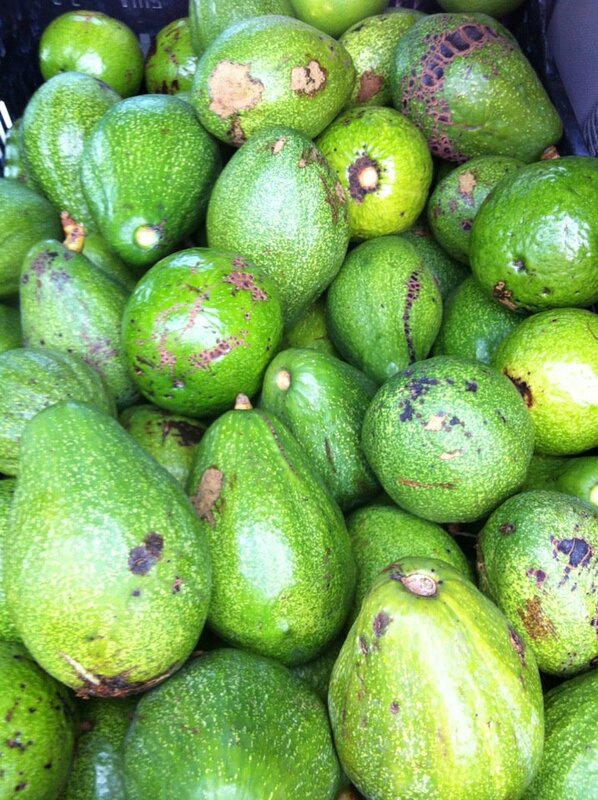 Hacienda Okhra also produces a wonderful variety of seasonal fruit ranging from avocados, lemons, oranges, papaya, bananas, limes and more. 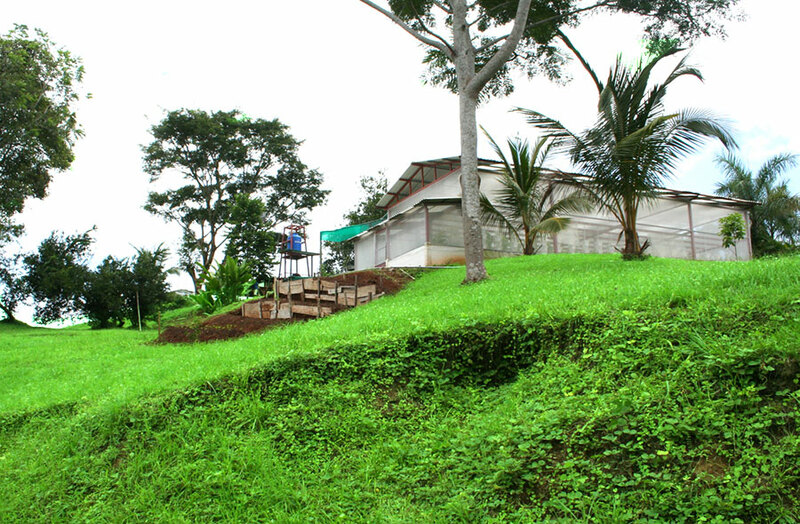 Hacienda Okhra Project offers private classes for tourists and locals on how to make your own soil, produce your own seeds and grow your own food. 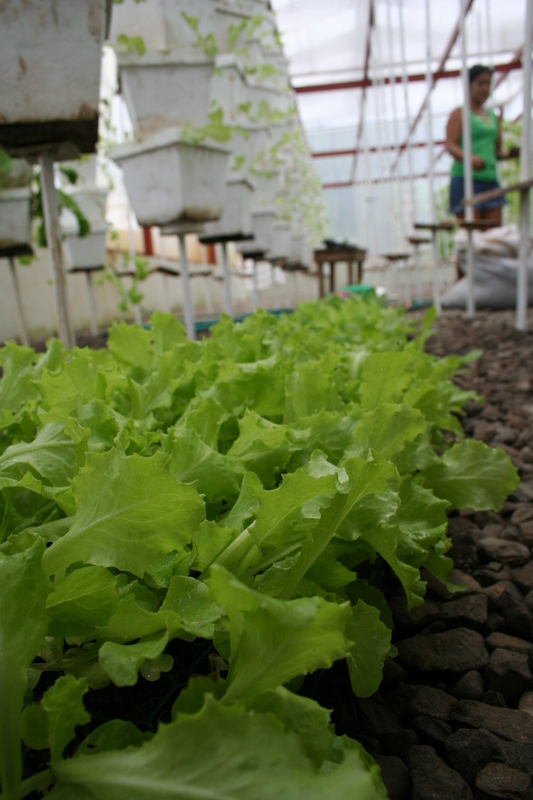 They also offer classes on aquaponics and how to build and maintain home-scale to commercial systems. Pluss in depth courses on how to get started, what to grow, what to keep in mind and what to look out for. Hacienda Okhra Project offers private dinners and classes for tourists and locals on how to make and grow their own food. With world renown chefs and service they offer a one of a kind dining experience.Perfect for wedding parties and events. 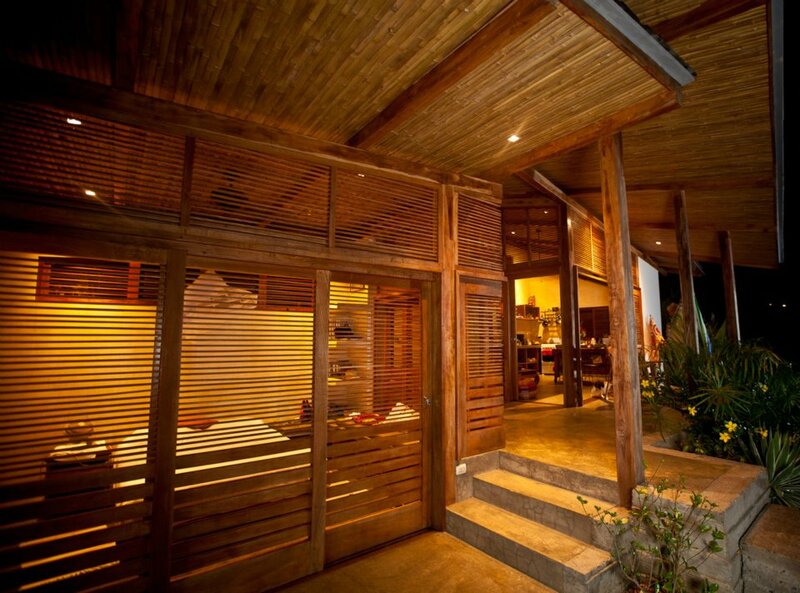 Haceienda Okhra Project offers three different vacation rentals for guests visiting the area. With a one-bedroom, two-bedroom and three-bedroom unit there is something to fit any size party. 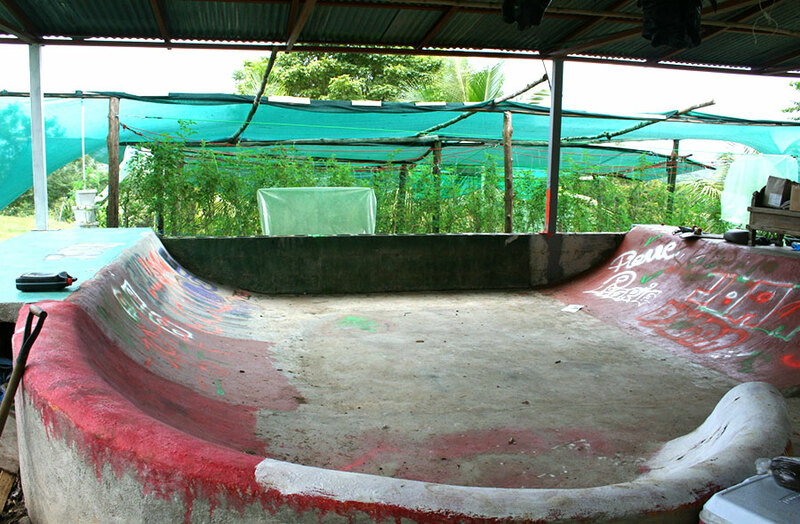 More updates on the Hacienda Okhra Project to come.